In my experience with dreams and dreamwork, with having my dreams interpreted daily for years (so a total of between 500-1000 dreams) as well as closely studying the 1000 dreams and interpretation posts on Richard’s Dreams For Peace, I can say that what he writes here is true. The way it works is that the intuition can pick up on someone’s actions in a relationship being based in selfish motives for gain or power that the conscious mind doesn’t see in day-to-day life. 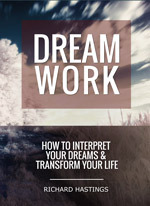 When the dream shows up the work can be done to process the emotions that come up in the dream and then change can be made within an individual that impacts the relationship. When both people in the relationship want it to work, when one person changes they both can change and grow. Through this a positive and deep, long-lasting relationship can develop and endure. When one person is seeking power they will get angry, jealous, or whatever when there is change. Then there are some decisions to be made by the dreamer about how to move forward in a positive way for everyone involved. There are also problems if one person thinks in some way they are better than the other. Then when the dreamer makes the positive change the other may think this is odd, or strange, or out of character or whatever – placing judgement, scrutiny, suspicion and false illusions on the other person as though there is a way someone is “supposed to be” or “not supposed to be” as though someone is in a “role” and has to stay in that “role” in order for things to work. If the role changes and the relationship endures you know it is good. If the role changes and attacks come in the form of criticism (overt or discrete, seen or unseen, directly or indirectly), or if there is back-biting, or if there is negativity, then the relationship falls apart. 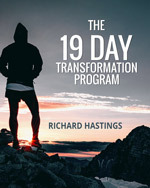 Usually because the person seeking to make themselves be or appear to be better than the other person feels uncomfortable with being in a new dynamic where they feel that they have lost control. So conflict comes out of this. Since avoiding conflict is the central feature of a Peaceful life, then when this type of conflict emerges, there are lots of things to do to stay out of conflict. There are always options, always choices, always possibilities, always opportunities. We are always as free as we choose to allow ourselves to be. Our relationships can be as deep and profound as we allow them to be. Our life can be as happy and fulfilling as we allow it to be. We have all the choice in our life. Always. When we can find in our dreams unconscious patterns that lead to upliftment or to being debased and humiliated then we can choose which we want for ourselves and really go like crazy in positive directions in all areas, day and night.